A devotion to high quality products causes Ferrari to pay very close attention to quality control. Two unique procedures stand out and separate Ferrari from competitors. The first is that the diesel engine is not installed until the entire transmission, drive train and axle units are assembled and all functions are tested with an electric motor, all gear shifting, PTO engagement and braking are tested with the near infinitely variable test motor. After passing this test the diesel engine is installed and 100% of the tractors go to the dynamometer to test power output and clutch engagement. This extra care is a clear benefit of a modest scale of production. The Vipar AR (articulated) and RS (rigid) come in models 30(26HP) and 40(35HP) with 8 forward speed transmissions, fulltime 4 wheel drive and equal size wheels. Engines are 3 and 4 cylinder water cooled Lombardini, with tractor weights just under 2000 lbs. 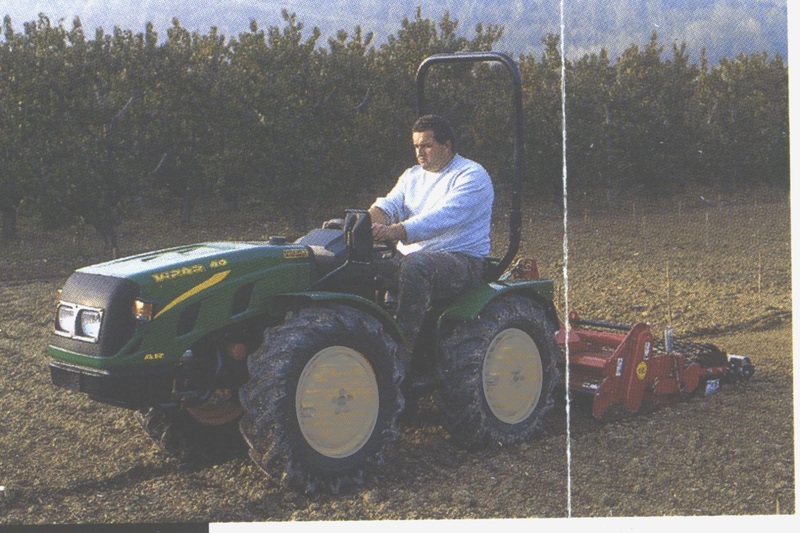 New 30 HP tractor from Antonio Casaro. Just $25,00.00. 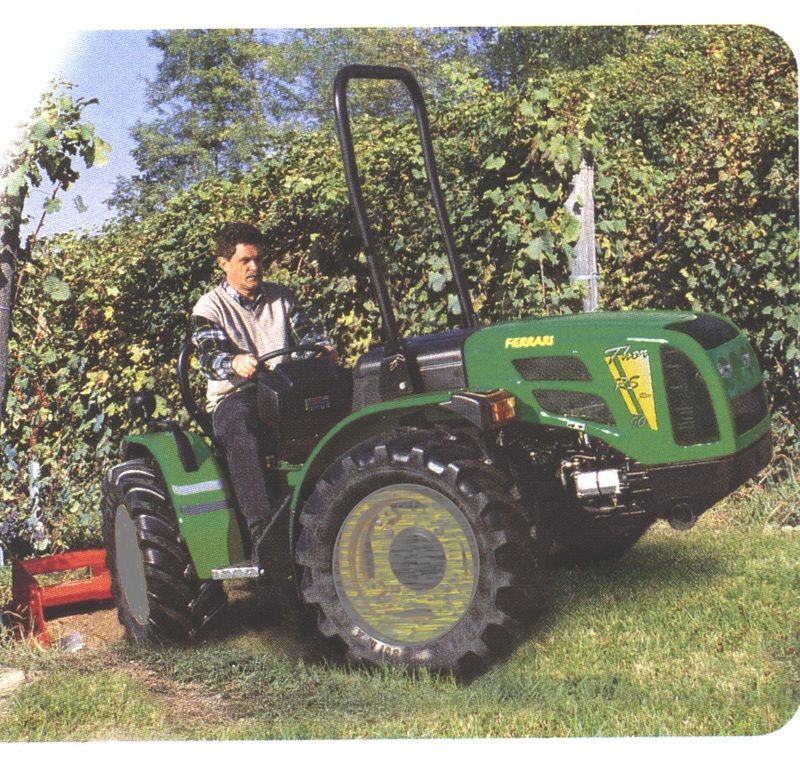 Ideal for low compaction and hillside use. 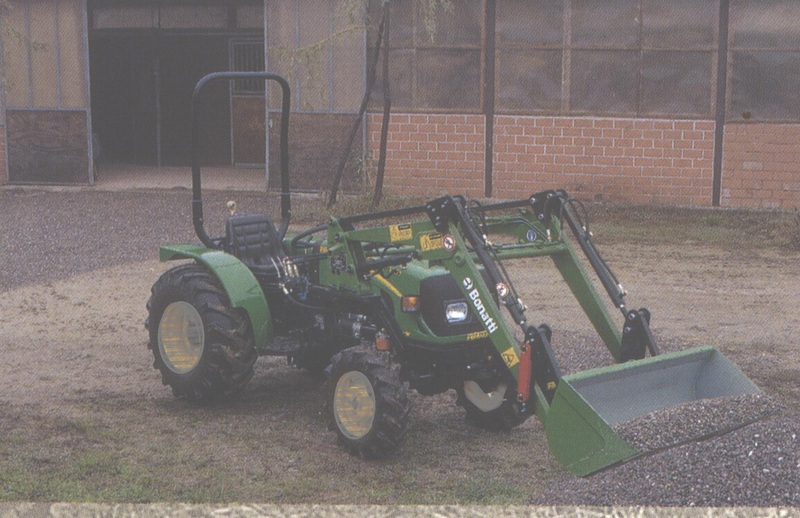 The most attractive and dramatic change is the introduction of the Cobram 40(35HP) and 50(46HP) models. They can be had articulated or front steering mono-directional or bidirectional i.e. the driver module turns 180° so the driver faces either the engine or 3pt at his option. This feature is seen in other tractor makes of 70 plus HP, but in the Cobram 40 you have this useful option in a 35HP tractor at a fraction of the cost of the competition. 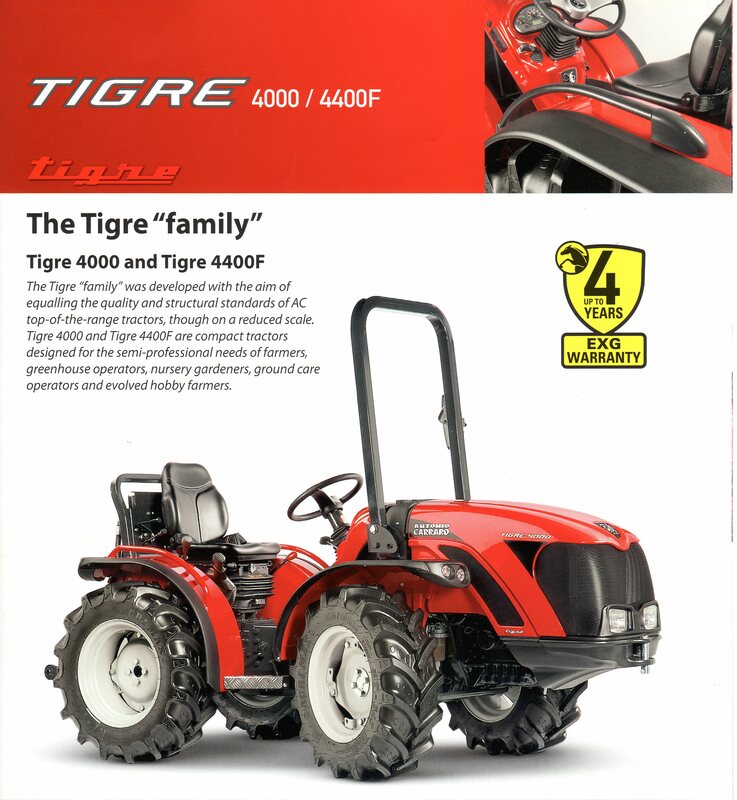 These tractors have 12 gear speeds in each direction with independent PTO engagement and inboard wet disc brakes. Remarkably all this in tractors no larger than the Vipar and weighing just under 2700 lbs. 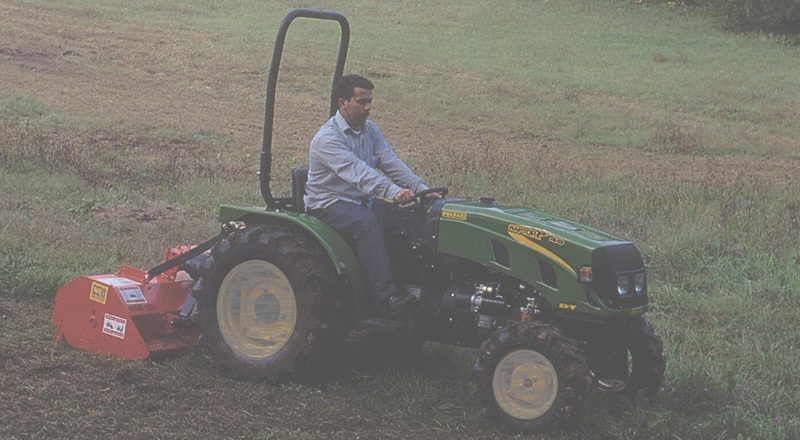 The Thor series represents the top of the line with tractors from 68HP to 83HP and have 16 gear speeds in each direction. The Thor can be articulated or rigid bodies, reversible or mono directional. 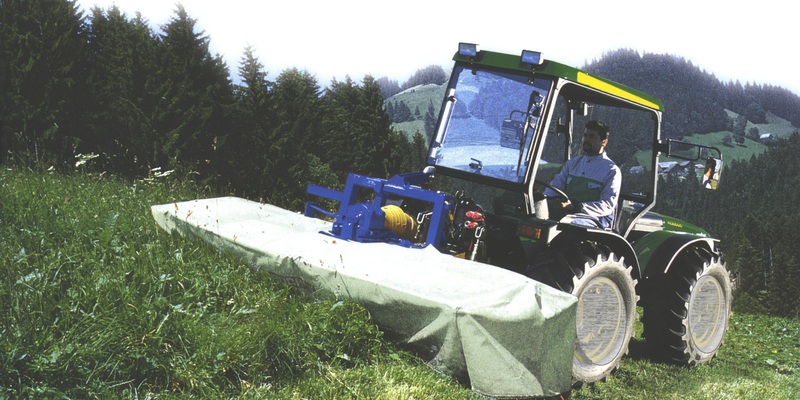 Specialized Versions such as the "MT" are wider and with more underside clearance for haying. The Thor's weigh just under 4400 lbs. Ferrari has just introduced the "Raptor" a conventional tractor design that replaces its old 800,1100 and 1300 models. The 12 speed transmission, inboard disc brakes and independent PTO engagement come from the same components used in the Cobram series. The 30DT(26HP) and 40DT(35HP) use the same model Lombardini engines as are in the Vipar series. 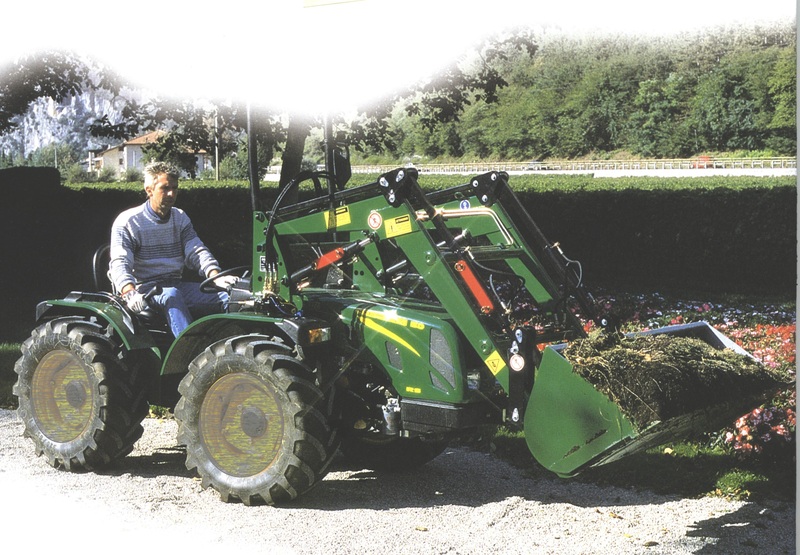 This sharing of major components will aid in parts support for Ferrari Tractors. 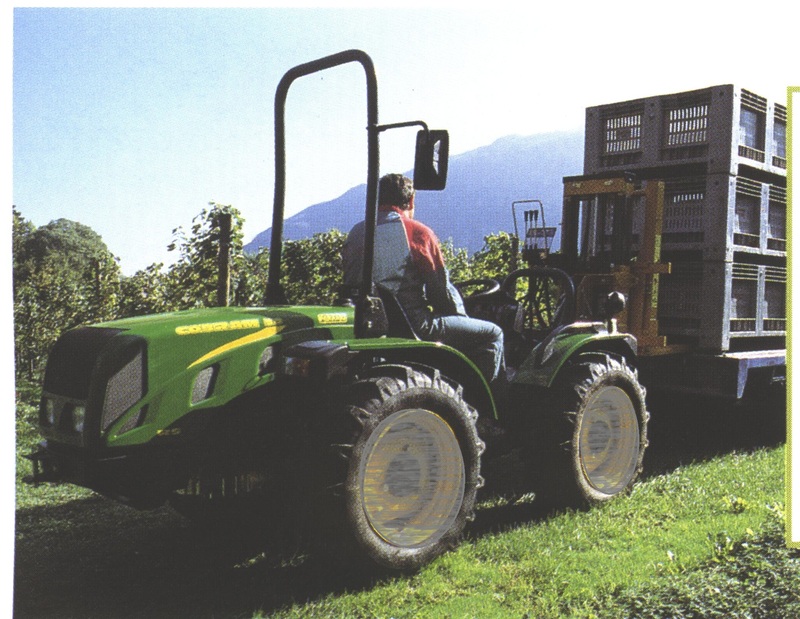 The Raptor is a very attractive, low cost tractor for those partial to conventional tractor design.